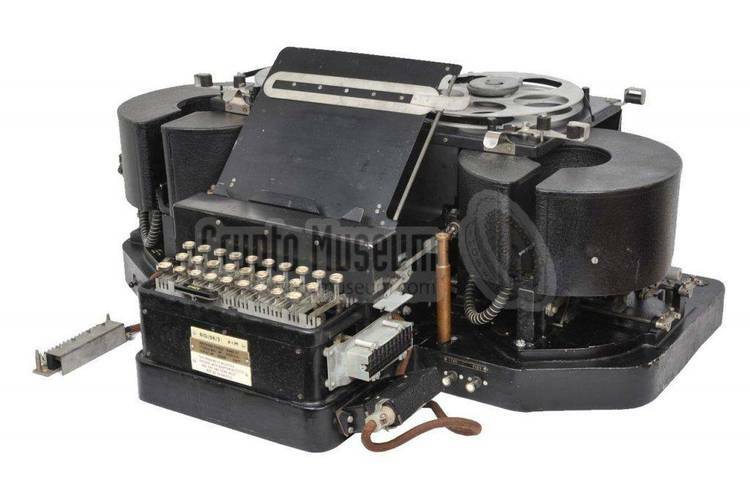 Software simulation of WWII German code cipher machine. controversies which have arisen, as they always do around legends. and the technical factors involved in interceptions. entire issue in perspective, by associating the legends. and under what constraints, in the monumental effort. of World War II, from "winning the war" to "incidental". ing the bombing of Coventry in 1940. Actually, one controversy may be of interest in computer terms. had been studied by the Allies long before 1939, the war's opening. relative turning of one by the next one. drum in turn rotated according to a plan much like an odometer. the drums, with which the current message began. on a somewhat extended schedule (perhaps once each month for some). ended, a new cipher machine was being introduced on the line. the message key, i.e. the initial settings of the drums. set of connections, to insure universal military communications. the great benefit of the Allied war effort. separated, and this notice must be left intact.